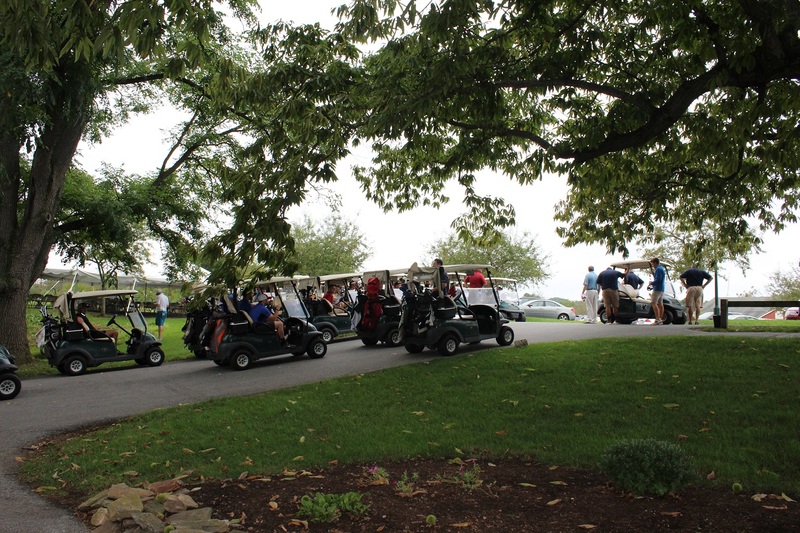 More than 60 golfers attended Devereux Pennsylvania’s “Tee-off for Autism” event. 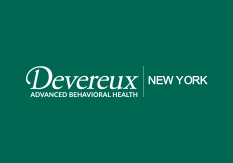 The event raised more than $5,000 for the “Bridge Fund,” which is designed to help young adults with autism, who are served by Devereux Pennsylvania’s CAAPP, bridge the gap between high school graduation and adult programming to ensure there is no lapse in services. 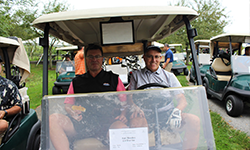 The golf tournament, now in its second year, was held at Broad Run Golfer’s Club in West Chester, Pa. Funds raised from the tournament will be used to grant individualized supports and services - through CAAPP - to adults in Chester, Montgomery and Delaware counties. 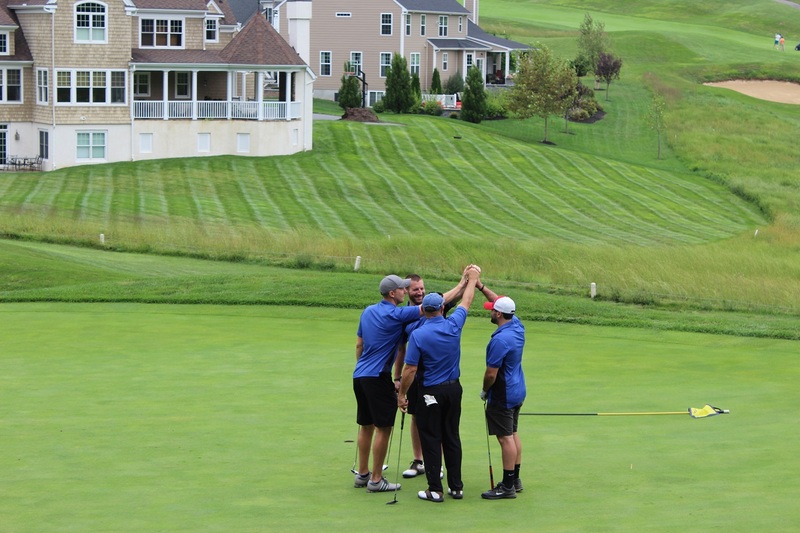 The primary goal of the tournament is to provide instruction and support across community, home and work environments to help individuals become productive, socially connected and personally fulfilled members of their local communities. 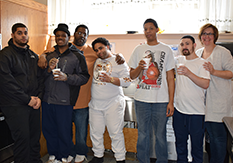 The Bridge fund is designed to help young adults – served by Devereux Pennsylvania’s Community Adult Autism Partnership Program (CAAPP) - bridge the gap between high school graduation and adult programming to ensure there is no lapse in services. 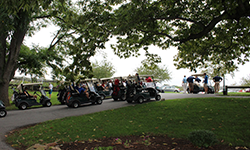 The golf tournament, organized in partnership with T.J. Schneider, was held in September at Broad Run Golfer’s Club in West Chester, Pa. 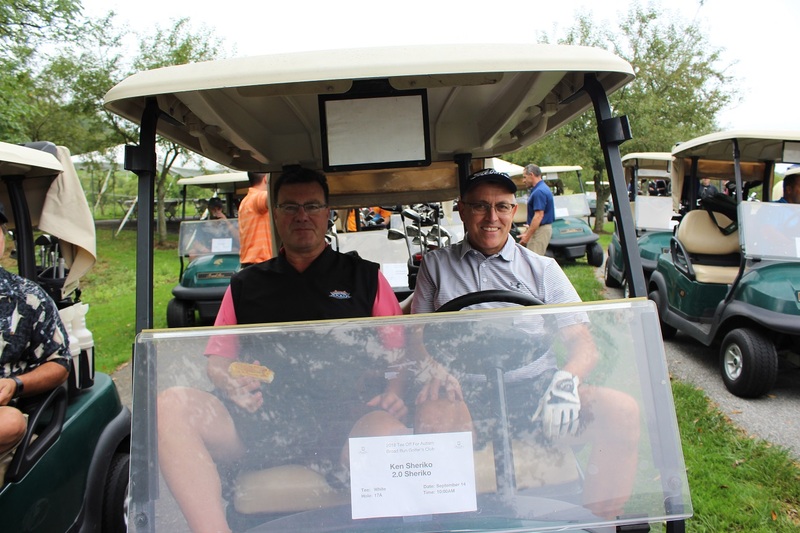 The event raised more than $5,000 for adults with autism spectrum disorders (ASD) and other disabilities, up from more than $3,000 last year. 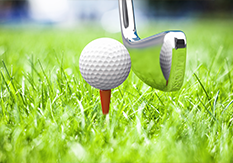 Funds raised from the golf tournament will be used to grant individualized supports and services – through CAAPP – to adults in three Pennsylvania counties (Chester, Montgomery and Delaware counties). 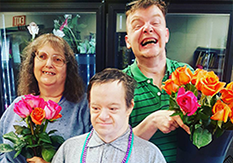 The primary goal is to provide instruction and support across community, home and work environments to help individuals become productive, socially connected and personally fulfilled members of their local communities. Get ready to drop the puck! The seventh annual “Face-off for Autism” hockey tournament – also benefitting Devereux Pennsylvania – will be held on April 13 at Ice Line in West Chester, Pa. 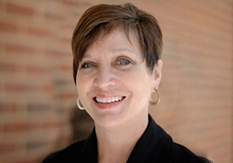 Interested sponsors or participants should contact Dr. Todd Harris or Amanda Duffy.